KEN YUSZKUS/Staff photo. 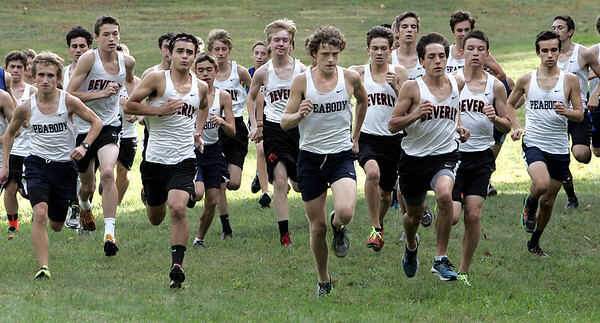 The start of the boys race at the Beverly vs. Peabody cross country meet. 10/13/15.